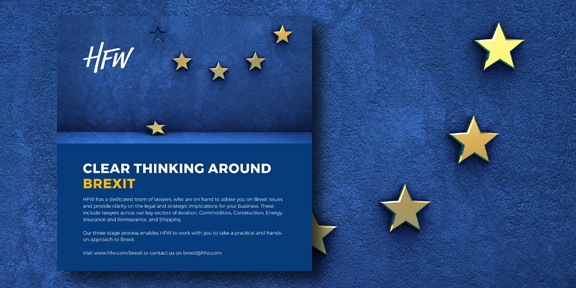 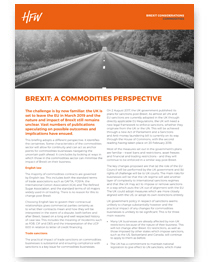 HFW | Brexit | Here you will find our dedicated Brexit related content, focusing on sector-specific issues which may affect your business. 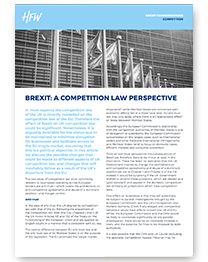 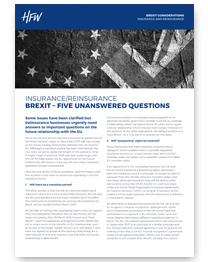 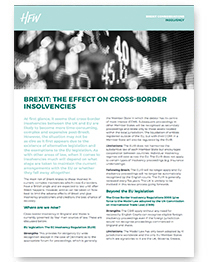 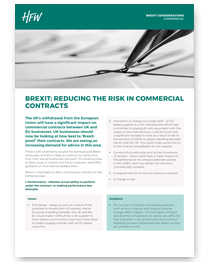 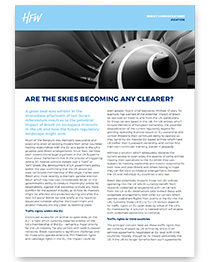 Here you will find our dedicated Brexit related content, focusing on sector-specific issues which may affect your business. 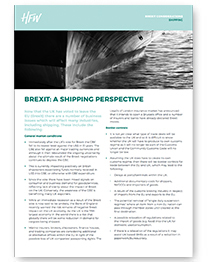 HFW has a dedicated team of lawyers across our key sectors of Aviation, Commodities, Construction, Energy, Insurance and Reinsurance, and Shipping, who are on hand to advise you on Brexit issues and help to provide clarity around the legal and strategic implications for your business. 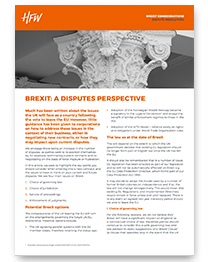 Our three stage process enables HFW to work with you to take a practical and hands-on approach to Brexit.